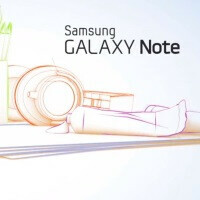 Samsung Galaxy Note 4 ready for mass-production, launches right after IFA 2014 in September? According to South Korean media, the upcoming Samsung Galaxy Note 4 is nigh-on ready to enter mass production ahead of a September 2014 launch. The assembly line should start rolling sometime in July, while August should be very intense for Samsung, as it prepares to introduce the next Galaxy Note at IFA 2014 in Berlin. Reportedly, the company wants to release the phablet very soon after the expo, which runs between 5-10 September. Samsung could be feeling pressured to get the Note 4 on the market as soon as possible to appease shareholders and make up for the Galaxy S4 and Galaxy S5's lower than expected sales. It also wants to combat the imminent iPhone 6 Fall announcement by introducing the Note 3's successor. Make sure to check out our Samsung Galaxy Note 4 rumor round-up where you'll find all the information we have on the phablet so far. The Note 4 is expected to feature a 5.7-inch QHD display, Qualcomm's Snapdragon 805 chipset, 3GB of RAM, and a 16MP camera. Hopefully, Samsung has cooked up more impressive software features to serve with the premium hardware. According to rumored Antutu benchmarks, Mali T-760 is a better GPU than Adreno 420. They all probably run the same anyways. The 5422 in my loaner unit GS5 runs perfectly fine. It is starting to look like the Note 4 vs. the iP6XL for Fall 2014 flagship smartphones in the U.S. Pity other manufacturers couldn't get into the game. What body will it have?Aluminium or plastic? plastic is samsung traditional flagship. I personally hesitate buying if it's anything metal. I need the electrically-safe feeling of the plastic phone. Whatever makes you sleep lamepriya..
Look more like ur talking about ur self. afraid of that pathetic iJunk? LOL Note 4 = Rolls=Royce iJunk 6 = your average Honda nice joke mate! And just like your expensive cars, you have problems, problems, maintenance, stock not being good enough. While the ijunk just works. I say this only because the last 2 weeks for work and the note 3 has been hell. Latest update has bricked tons of audio and calls for the darn thing. Chalk it up to VoLTE update. Insert "that's what she said" joke here. If Apple is going to release an iPhone phablet, that would he first time I've seen a phone that could rival the Note 3................COULD lol.